Mary Frances "Debbie" Reynolds (born April 1, 1932) is an American actress, singer, entertainer, businesswoman, film historian, humanitarian and a noted former collector of film memorabilia. Her breakout role was the portrayal of Helen Kane in the 1950 film Three Little Words, for which she was nominated for the Golden Globe Award for Most Promising Newcomer. However, it was her first leading role in 1952 at age 19, as Kathy Selden in Singin' in the Rain, that set her on the path to fame. By the mid-1950s, she was a major star. Other notable successes include The Affairs of Dobie Gillis (1953), Susan Slept Here (1954), Bundle of Joy (1956 Golden Globe nomination), The Catered Affair (1956 National Board of Review Best Supporting Actress Winner), and Tammy and the Bachelor (1957), in which her rendering of the song "Tammy" reached number one on the music charts. In 1959, she released her first pop music album, entitled Debbie. She starred in How the West Was Won (1963), and The Unsinkable Molly Brown (1964), a biographical film about the famously boisterous Molly Brown. Her performance as Molly Brown earned her a nomination for the Academy Award for Best Actress. Her other notable films include The Singing Nun (1966), Divorce American Style (1967), What's the Matter with Helen? (1971), Mother (1996 Golden Globe nomination), and In & Out (1997). Reynolds is also a noted cabaret performer. 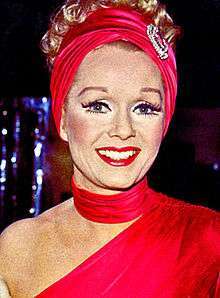 In 1979, she founded the Debbie Reynolds Dance Studio in North Hollywood, which still operates today. In 1973, Reynolds starred in a Broadway revival of the musical Irene and was nominated for the Tony Award for Best Lead Actress in a Musical. 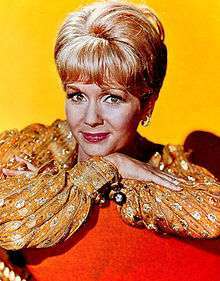 In 1969 she starred in her own television show The Debbie Reynolds Show, for which she received a Golden Globe nomination. She was also nominated for a Daytime Emmy Award for her performance in A Gift of Love (1999) and an Emmy Award for playing Grace's mother Bobbi on Will & Grace. Reynolds is also known for her role as Aggie Cromwell in Disney's Halloweentown series. In 1988, she released her autobiography titled, Debbie: My Life. In 2013, she released an updated version titled Unsinkable: A Memoir. She is a noted businesswoman, having operated her own hotel in Las Vegas. Reynolds is also a collector of film memorabilia, beginning with the landmark 1970 MGM auction. She is the former president of The Thalians, an organization dedicated to mental health causes. She continues to perform successfully on stage, television, and film. In January 2015, Reynolds received the Screen Actors Guild Life Achievement Award. In August 2015, it was announced Reynolds would be the recipient of the 2016 Academy Awards Jean Hersholt Humanitarian Award.In 2016, a documentary about her life was released titled Bright Lights: Starring Carrie Fisher and Debbie Reynolds. She was born Mary Frances Reynolds on April 1, 1932, in El Paso, Texas, the daughter of Maxine (née Harmon; 1913–99) and Raymond Francis Reynolds (1903–86), who was a carpenter for the Southern Pacific Railroad. She has Scottish-Irish and English ancestry, and was raised in a strict Nazarene church. Reynolds was a Girl Scout and a troop leader (a scholarship in her name is offered to high-school age Girl Scouts). Her family moved to Burbank, California, in 1939. At age sixteen, in 1948, while a student at Burbank High School, she won the Miss Burbank beauty contest. Soon after, she had a contract with Warner Bros and acquired a new first name. Her older brother Bill Reynolds graduated from Burbank High School in 1947. Reynolds regularly appeared in movie musicals during the 1950s and had several hit records during the period. Her song "Aba Daba Honeymoon" (featured in the film Two Weeks with Love (1950) as a duet with Carleton Carpenter) was a top-three hit in 1951. Her most high-profile film role was in Singin' in the Rain (1952) as Kathy Selden. In Bundle of Joy (1956), she appeared with her then-husband, Eddie Fisher. Someone recently said, and with reasonable accuracy I would think, that good singers make good actors. Evidence in support of this belief is available in the recent performances of Sinatra and Martin, for instance, but I would like to put forth also the proposition that the reverse is quite true: good actors make good singers. Assuming they can carry a tune. We all know that Debbie is better than a good actress—she's VERY good, and we all know she can sing with a lilt and a listenable quality that's genuinely pleasant and agreeable. Witness "Tammy". It was small surprise to me then that when I listened to this beautiful album she has etched for Dot, I found myself captivated and enchanted. Quite obviously Debbie had spent a great deal of time selecting the songs to be included, because she's made them her own, and invested them with a sincerity that's inescapable—of contrasting moods to be sure, but the moods are there, and to me, mighty effective. And that, mes amis, is artistry. Reynolds also scored two other top-25 Billboard hits with "A Very Special Love" (#20 in January 1958) and "Am I That Easy to Forget" (#25 in March 1960)—a pop-music version of a country-music hit made famous by both songwriters Carl Belew (in 1959), Skeeter Davis (in 1960), and several years later by singer Engelbert Humperdinck. She has released several albums of both her vintage performances and her later recordings. During these years, she also headlined in major Las Vegas showrooms. Reynolds last CD was a Christmas Record with the late Donald O'Connor entitled "Chrissy the Christmas Mouse". It received rave reviews and was arranged by Angelo DiPippo and produced by Dr. Fillardi. Her starring role in The Unsinkable Molly Brown (1964) led to a nomination for the Academy Award for Best Actress. She then portrayed Jeanine Deckers in The Singing Nun (1966). In what Reynolds has called the "stupidest mistake of my entire career", she made headlines in 1970 after instigating a fight with the NBC television network over cigarette advertising on her eponymous television series; NBC canceled the show. Reynolds continued to make appearances in film and television. She played Helen Chappel Hackett's mother, Deedee Chappel, on an episode of Wings titled, "If It's Not One Thing, It's Your Mother", which originally aired on November 22, 1994. From 1999 to its 2006 series finale, she played Grace Adler's theatrical mother, Bobbi Adler, on the NBC sitcom Will & Grace, which earned her an Emmy Award nomination for Outstanding Guest Actress in a Comedy Series in 2000. She plays a recurring role in the Disney Channel Original Movie Halloweentown film series as Aggie Cromwell. Reynolds made a guest appearance as a presenter at the 69th Academy Awards in 1997. She made a cameo role as herself in the 2004 film Connie and Carla. In 2013, she appeared in Behind the Candelabra, as the mother of Liberace. Reynolds has amassed a large collection of movie memorabilia, beginning with the landmark 1970 Metro-Goldwyn-Mayer auction, and displayed them, first in a museum at her Las Vegas hotel and casino during the 1990s and later in a museum close to the Kodak Theater in Los Angeles. On several occasions, she has auctioned off items from the collection. The museum was to relocate to be the centerpiece of the Belle Island Village tourist attraction in the resort city of Pigeon Forge, Tennessee, but the developer went bankrupt. The museum itself filed for Chapter 11 bankruptcy in June 2009. Todd Fisher, Reynolds' son, announced that his mother was "heartbroken" to have to auction off her collection. It was valued at $10.79 million in the bankruptcy filing. The Los Angeles auction firm Profiles in History was given the responsibility of conducting a series of auctions. Among the "more than 3500 costumes, 20,000 photographs, and thousands of movie posters, costume sketches, and props" included in the sales were Charlie Chaplin's bowler hat and Marilyn Monroe's white "subway dress", whose skirt is lifted up by the breeze from a passing subway train in the film The Seven Year Itch (1955). The dress sold for $4.6 million; the final auction was held in May 2014. In 1979, she opened her own dance studio in North Hollywood. In 1983 Reynolds released an exercise video titled Do It Debbie's Way!. She purchased the Clarion Hotel and Casino, a hotel and casino in Las Vegas, in 1992 and renamed it the Debbie Reynolds Hollywood Hotel, but it was not a success. In 1997, Reynolds was forced to declare bankruptcy. In June 2010 she replaced Ivana Trump answering reader queries for the weekly paper Globe. Reynolds has been married three times. 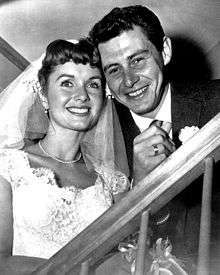 Her first marriage was to singer Eddie Fisher in 1955. They are the parents of Carrie and Todd Fisher. The couple divorced in 1959 when Fisher had an affair with Elizabeth Taylor shortly after the death of Taylor's then-husband Mike Todd, which caused a serious public scandal. In 2011, first on The Oprah Winfrey Show only weeks before Elizabeth Taylor's death from congestive heart failure, Reynolds explained that she and Taylor happened to be traveling on the ocean liner Queen Elizabeth at the same time when they made up. Reynolds sent a note to Taylor's room, and Taylor sent a note in reply asking to have dinner with Reynolds and end their feud. The two reconciled, and, as Reynolds put it, "...we had a wonderful evening with a lot of laughs". The 1990 film Postcards from the Edge was written by her daughter Carrie Fisher and was semi-autobiographical, with the character of "Doris Mann" based on Reynolds. Her second marriage, to millionaire businessman Harry Karl, lasted from 1960 to 1973. He was previously married to Marie McDonald. Reynolds later found herself in financial difficulty because of Karl's gambling and bad investments. Reynolds was married to real estate developer Richard Hamlett from 1984 to 1996. In 2010, she appeared in her own West End show Debbie Reynolds: Alive and Fabulous. Since 1955, Reynolds has been active in The Thalians, a charitable organization, devoted to children and adults with mental health issues. In 2011 she stepped down after 56 years of involvement and is now an emerita member. Reynolds made her Broadway debut in 1973 in a revival of Irene, a musical first produced 60 years before. For that production, she received a Tony nomination. She toured with Harve Presnell in Annie Get Your Gun, then wrapped up the Broadway run of Woman of the Year in 1983. In the late 1980s, Reynolds repeated her role as Molly Brown in the stage version of The Unsinkable Molly Brown, first opposite Presnell (repeating his original Broadway and movie role) and later with Ron Raines. Reynolds was the 1955 Hasty Pudding Woman of the Year. Her foot and handprints are preserved at the Grauman's Chinese Theatre in Hollywood, California. She also has a star on the Hollywood Walk of Fame at 6654 Hollywood Boulevard for live performance and a Golden Palm Star on the Palm Springs, California, Walk of Stars dedicated to her. In keeping with the celebrity tradition of the Shenandoah Apple Blossom Festival of Winchester, Virginia, Reynolds was honored as the Grand Marshal of the 2011 ABF that took place from April 26 to May 1, 2011. In November 2006, Reynolds received the "Lifetime Achievement Award" from Chapman University (Orange, California). On May 17, 2007, she was awarded an honorary degree of Doctor of Humane Letters from the University of Nevada, Reno, (Reno, Nevada) where she had contributed for many years to the film-studies program. ↑ Staff (January 31, 2012). "Debbie Reynolds Memoir: 'Unsinkable' To Highlight Divorces". Huffingtonpost.com. Retrieved 2012-12-14. ↑ "Debbie Reynolds Biography (1932–)". Film reference. Retrieved 2015-08-17. ↑ Murrells, Joseph (1978). The Book of Golden Discs (2nd ed.). London, UK: Barrie & Jenkins. ISBN 0-214-20512-6. ↑ "If It's Not One Thing, It's Your Mother". Internet Movie Database. Retrieved 2015-08-17. ↑ "Debbie Reynolds | Television Academy". Emmys.com. Retrieved 2015-08-17. 1 2 3 "Auction Set for Debbie Reynolds' Hollywood Memorabilia". Los Angeles Daily News. September 10, 2010. 1 2 Flory, Josh (September 9, 2010). "With No Buyer, Debbie Reynolds' Hollywood Memorabilia To Go To Auction". Knoxville News Sentinel. ↑ Palank, Jacqueline (September 10, 2010). "Reynolds to Auction Hollywood Memorabilia". The Wall Street Journal blogs. Retrieved January 18, 2011. 1 2 Stone, Jay (February 27, 2011). "Marilyn Monroe's Skirt Going Up – On Auction Block". The Vancouver Sun. ↑ Potempa, Philip (June 25, 2011). "OFFBEAT: Debbie's auction nets big profit, she's resting more easily without debt worry". The Times of Northwest Indiana. ↑ Lewis, Andy (May 9, 2014). "Debbie Reynolds 'Hurt' by Academy for Refusing Her Memorabilia Collection". The Hollywood Reporter. ↑ ""Do It Debbie's Way!" A Tribute to the Unsinkable Miss Reynolds and Her Superb Multimedia Exercise Program – Stargayzing". stargayzing.com. Retrieved August 27, 2015. ↑ Brozan, Nadine (July 9, 1997). "Chronicle". The New York Times. Retrieved September 23, 2010. ↑ "Who Would You Rather Take Advice From? Ivana Trump or Debbie Reynolds?". Janet Charlton's Hollywood. June 3, 2010. Retrieved 2012-04-23. ↑ "Debbie Reynolds Returns to West End in Alive and Fabulous". broadway.com. Retrieved August 27, 2015. ↑ "There's No Business Like Show Business". The Thalians. Retrieved 2015-08-17. ↑ "Debbie Reynolds hospitalized, cancels three months of shows". Fox News. October 10, 2012. Retrieved October 10, 2012. ↑ "Palm Springs Walk of Stars by date dedicated" (PDF). Palmspringswalkofstars.com. Retrieved 2015-08-17. ↑ "51st Life Achievement Recipient, 2014". August 19, 2014. Retrieved 2014-08-19. Reynolds, Debbie (with Dorian Hannaway) (2015). Make 'Em Laugh: Sort-Term Memories of Longtime Friends. William Morrow and Company. ISBN 978-0-06-241663-6.